Sheffield 80-Inch Double Vanity Cabinet with 70-Inch Mirror in White Distinctive styling and elegant lines come together to form a complete range of modern classics in the Sheffield Bathroom Vanity collection. Inspired by well established American standards and crafted without compromise, these vanities are designed to complement any decor, from traditional to minimalist modern. Available in multiple sizes and finishes. 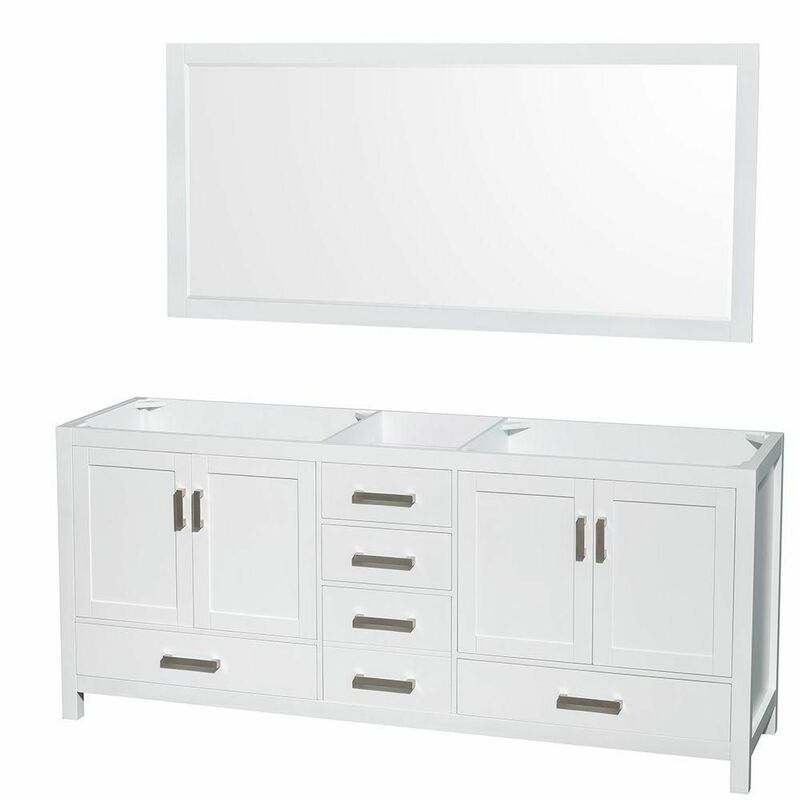 Sheffield 80-Inch Double Vanity Cabinet with 70-Inch Mirror in White is rated 4.7 out of 5 by 3. Rated 5 out of 5 by Bathroom from Great quality !! Love the design. ... Great quality !! Love the design. Rated 5 out of 5 by Staci from Very heavy but once in place it looks amazing. ... Very heavy but once in place it looks amazing. Great quality and love the soft close drawers and doors. We are so please with how our new bathroom came out. The mirror is great quality as well and was easy to install. Rated 4 out of 5 by SoCal from Nice vanity and great mirror Nice addition to my new bathroom. The soft close drawers and cabinet doors are a nice bonus.